I am now in the second week of a 12 month post working on the Wellcome Trust funded project, Cataloguing Norman Dott’sneurosurgical case notes (1920-1960), and am greatly looking forward to working on the collection and getting to know more about Professor Dott and the pioneering work he carried out throughout his career. I am in the lucky position of having some familiarity with the collection due to a 10 week internship with LHSA earlier this year, during which I assisted with the cataloguing of patient case files from Dott’s time working at the Brain Injuries Unit at Bangour Emergency Medical Hospital during the Second World War. The project is now in its second year, with a large volume of cataloguing already having been completed by Louise along with the assistance of several dedicated volunteers and one trusty intern. 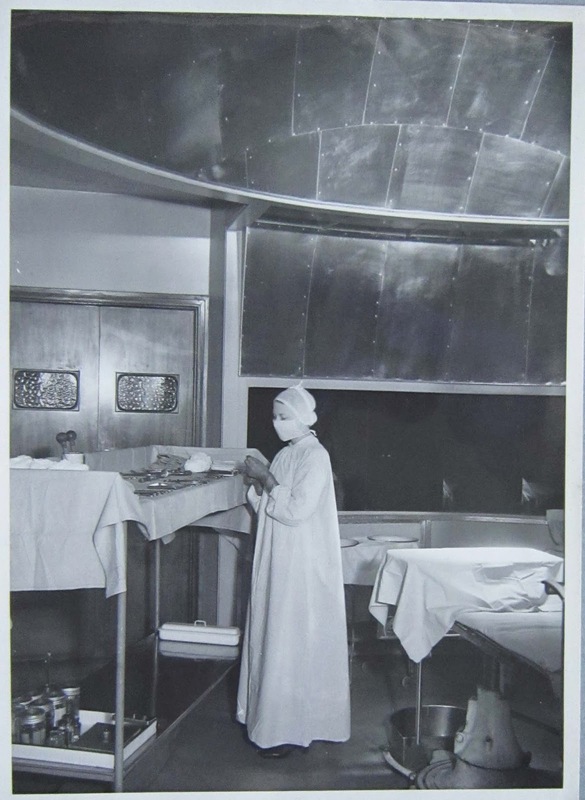 I am joining the project at an exciting time as the cataloguing of the largest series of case notes, those from the Department of Surgical Neurology, Ward 20, Royal Infirmary of Edinburgh, 1941-1959 (LHB1 CC/24), is nearing the halfway point. Having previously worked on the Bangour Case Notes and having learned about Professor Dott’s important work during the Second World War, I am now getting to catalogue records created slightly later in his career. 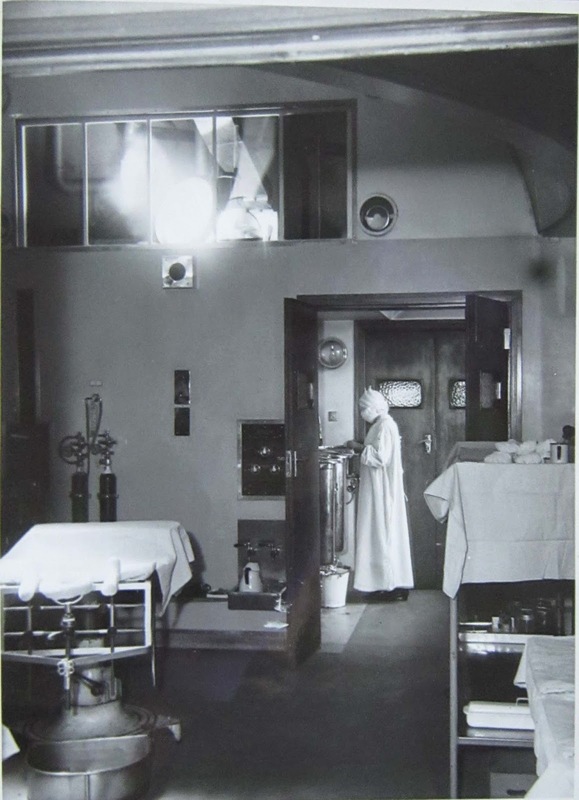 The Department of Surgical Neurology was established at Ward 20 of the Royal Infirmary of Edinburgh in 1938 and was the first dedicated neurosurgery ward in Scotland. The case notes reflect a wide range of illnesses and injuries, with many patients being referred there for specialist care. From the brief insight I have had in the last week and a half of working on the series they were a very busy department, often having patients put on waiting lists for non-emergency operations (for treatment of slipped discs, for example). Dott’s Department of Surgical Neurology team worked at both Ward 20 and the Brain Injuries Unit at Bangour, with initial examination mainly taking place at Ward 20 along with surgical treatment and outpatient facilities; and some surgical treatment and rehabilitation being carried out at Bangour. On commencing cataloguing I quickly realised that I had jumped in at the point when Dott was on a 20 month leave of absence due to ill health and the Department was being ably managed by Dr Kate Herman and Mr F J Gillingham. From several letters and notes relating to patients it seems that despite his poor health Dott remained involved and was consulted by colleagues about certain cases. I look forward to sharing more about the project and the interesting material I encounter over the next 12 months. This has been a busy week in LHSA’s corner of the Centre for Research Collections office. Not only have there been new enquiries to respond to and new readers to help as usual, but our desk allocation is finally full! From last Monday, we’ve been joined by two new members of staff: Liz Course joins us as the Project Cataloguing Archivist working with the case notes of Norman Dott, and Karyn Williamson will be the Project Cataloguing Archivist in charge of the remainder of our unlisted HIV and AIDS collections. The work of both Liz and Karyn is funded by the Wellcome Trust. Liz will be with us for 12 months, and she’ll be taking over the reins of the Norman Dott case note cataloguing project while Louise is seconded to the role of LHSA Archivist. You may remember hearing from Liz during her internship working on the Norman Dott project earlier in the year. For the next eight months, Karyn will be cataloguing the remainder of our UNESCO-recognised HIV and AIDS collections. She’ll be working really closely with our Project Conservator, Emily, as they get to grips with making LHSA’s final four HIV and AIDS collections that are uncatalogued and not conserved accessible to the public by preserving and describing them to archival standards. These two Wellcome Trust projects focus on numerous Edinburgh firsts. 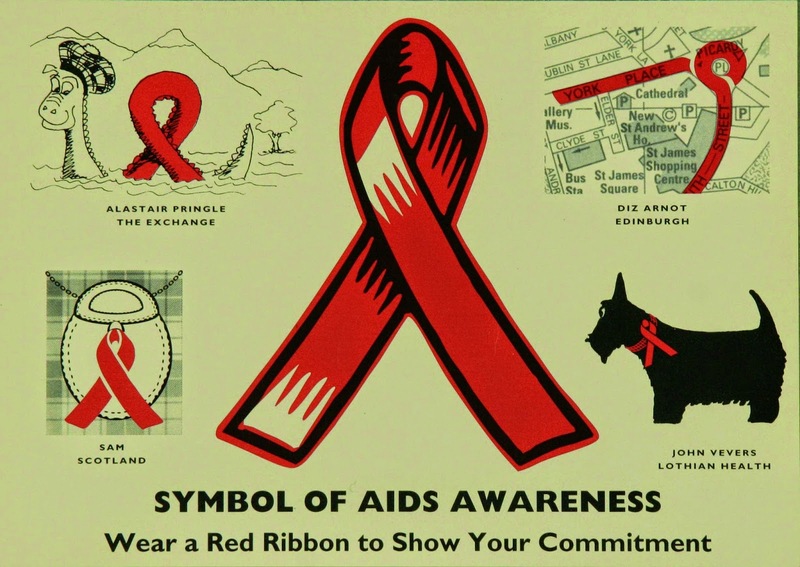 The city’s co-ordinated approaches to the fight against HIV and AIDS (involving the NHS, individuals, campaign groups and charities) led the way for initiatives across the United Kingdom. 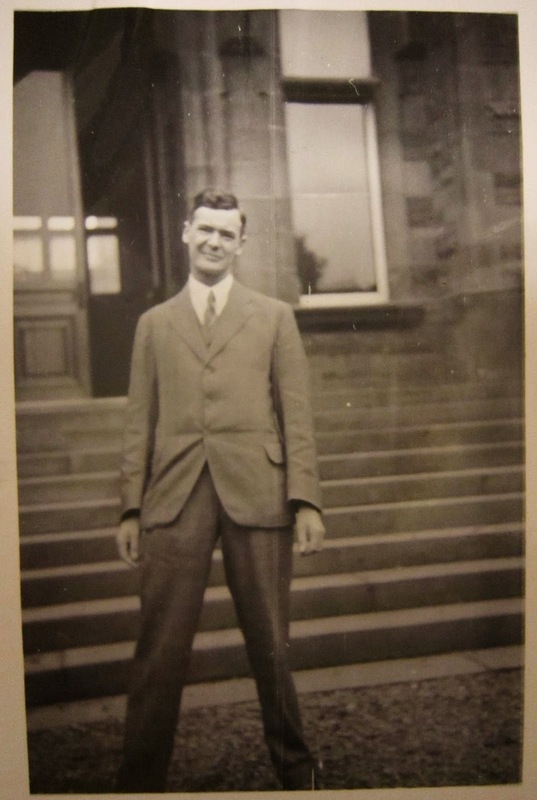 Not only did Norman Dott set up the first dedicated neurosurgery department in Scotland, but LHSA’s project to catalogue the results of this pioneering work employs a methodology without known precedent in UK medical archives. I’m sure you’ll be hearing much more from Karyn and Liz on the blog in the coming weeks, complete with images of what they’ve been working on and have discovered. Welcome to the team, Karyn and Liz! This week, a brief history of Longmore Hospital. An important service carried out by general hospitals in the nineteenth century was to provide for patients who had long-term conditions requiring constant nursing, which were unlikely or slow to improve and were deemed ‘incurable’. An Edinburgh scheme was proposed in 1874, whereby a single central institution would be provided for incurable patients throughout Scotland. The only qualification of the patients was that they required constant medical care and skilled nursing. A hospital for this care was opened in Salisbury Place in 1875. By 1880, this converted house had become too small for its purposes and a new hospital was opened on the same site. A large amount of the funding for this was met by the trustees of the late J. A. Longmore, therefore this new hospital was named after him. In 1898, the hospital was extended to include accommodation especially for the treatment of tuberculosis and cancer. In 1903, the hospital additionally received the Charter of Incorporation from King Edward VIII and became known as the Royal Edinburgh Hospital for Incurables. In 1906, Liberton Cottage Hospital on Lasswade Road was opened by the Earl of Dalkeith, allowing greater capacity. From 1948 Longmore and Liberton Hospital, as it had by then become, was used by the newly formed NHS as part of the Group Training Scheme for nurses. This helped provide enough nursing staff to fully utilise all the beds in the hospitals. Longmore Hospital closed in 1991, when its services were transferred to the Western General Hospital and the building has now become the headquarters for Historic Scotland. Liberton Hospital remains open, however, and today provides medical care for elderly patients, with a day hospital and specialist treatment for rehabilitation and stroke. The image of Longmore Hospital dates approximately from the early twentieth century. LHSA’s records of Longmore Hospital include manager’s minutes, annual reports and patient registers for both Longmore and Liberton hospitals, under catalogue reference LHB34. Last month the Science Festival, this month the Festival of Museums! Next week we’ll be taking part in the Centre for Research Collection’s events programme for the Festival of Museums. A really interesting and varied range of activities and talks are on offer (for more details see the blog, One last dance), from swing dance classes and jewellery making to hairstyling. The events programme has taken its inspiration from St Cecilia’s Hall in Edinburgh, which was a ballroom called the Excelsior in the 1940s, recreated for one last time as part of the Festival of Museums. All the events have a 1940s theme, including our contribution – a talk given by Louise, our Archivist – at 11am on Sunday 18 May. Louise will look at medical advances during the Second World War and the arrival of the NHS towards the end of the decade. If you’d like to book a free place then please click here (http://onelastdancefom.wordpress.com/events/) . In the HIV/AIDS collections there are 32 VHS and 46 audio cassette tapes. These cassettes are known as magnetic media as the tape used to carry the information is made from a thin layer capable of recording a magnetic signal which is supported by a thicker film backing. Although these were only formed during the 80s and 90s, they are already showing signs of deterioration. As the materials used to form the cassette ages, the magnetic signal is lost, resulting in a loss of audio and visual quality. This can occur just two years after recording and it is estimated that VHS and audio cassettes have a lifespan of just 30 years. The deterioration of magnetic media cannot be stopped. However, correct storage and handling can slow down the rate of deterioration and reduce the risk of damage due to physical factors. 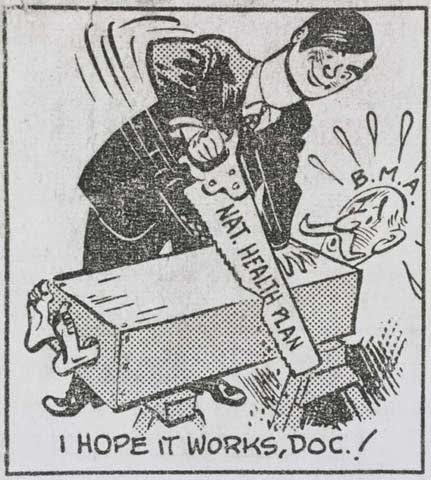 Screen shot of GD22/12/24, an advert for the National AIDS Helpline. Shows loss of visual quality. GD22/12/30a RSA Advertising. "Take Care" and "Use a Rubber"
Although this stops the data being lost completely, it does not solve the problem. Modern formats of media storage are also subject to the same risks as older media storage systems. The materials used to make the current storage will degrade over time and the equipment used to view the media will also become outdated as technology advances. It is recommended that digitised items be transferred to new formats every five years, making the preservation of digital material an ongoing and potentially costly process. However, audio visual material provides a unique perspective of the past, so it is essential to carry out these tasks to avoid losing the unique information stored on the cassettes.